If you’re looking for a holiday that brings your whole family closer, no need to look any further. Designed to make your trip easy and funny, Family-Friendly Vietnam Vacation will be an ideal choice. With warm locals in every place: from modern cities like Ho Chi Minh City, Hanoi Capital to the country side Mekong Delta, chance to learn about culture and history in Hue Citadel, free time to relax in Hoi An Ancient Town, fantastic range of activities in beautiful Halong bay, the trip will ensure a number of playful moments for kids and comfortable time for the parents as well. Let’s pack all your luggage for the vacation and it is time for us build up lasting lifetime joyful memory on the 14-day trip with history, culture and nature. In the evening, Your private car will transfer you to a local restaurant to have welcome dinner. After that back to your hotel by the car. Overnight in Ho Chi Minh City. 08.30 AM: After breakfast at hotel, your private guide will meet you at your hotel lobby. A one and half hour drive takes you to Cu Chi Tunnels where human knowledge has been enriched by experiencing an web-like tunnels system of more than 200km in length which used to be the shelters of guerrillas during the war against American troops. After visiting Cu Chi Tunnels, you will be transfered back to your hotel. Lunch on your own account. At 06:00PM: Part night excursion, part street food adventure. Your drivers will pick you up at your hotel lobby and first stop is to Café zoom to "watch the world goes by" (quoted by The Lonely Planet) and enjoy cocktail and appetizer (inclusive) before adventuring into favorite local eating spot. Guests experience the nightlife of Saigon the way locals do, all from the back of a vintage Vespa. The tour will start with a ride to part Chinatown and then heading to District 4 through busy streets and alleys to see the night life of locals and enjoy street sea- food and cold drinks, places that foreigner won't be found. Leaving district 4 to district 3 the tour pass through downtown district 1 to take in the sights on the way to Banh Xeo, specialty of Saigon and southern food with the locals. Then the tour will continue to a hidden Vietnamese-style coffee shop to have a taste of Vietnamese music (live) as a local. After this the tour will bring guest to a lively music venue to enjoy the drinks with live music. Guests ride pillion behind our drivers. About 10.00 PM, the tour finshes and you will be dropped off at your hotel. Overnight in Ho Chi Minh City. 07.30 AM: After breakfast, your guide will take you to the trip to Cai Be pier from HCMC by car / van via Trung Luong Freeway. About 05.30 AM: In the very early morning, our guide will accompany with you to depart for Cai Rang floating market where locals go to buy and sell a variety of fruits vegetables from boats of all sizes and which is the most original ones and bustling places of the region. If you have experienced many exciting days when traveling to Vietnam, surly you get out of bed early one day to witness this lovely local market to fullfill your Vietnam Holiday. After the trip, we will get back to the hotel for breakfast and relax. About a scheduled time, your guide will take you back to Ho Chi Minh Airport and get flight to Danang. Lunch en-route at a local restaurant. When arriving in Danang, you will be welcomed by our driver and transferred to the hotel in Hoi An. Overnight in Hoi An. 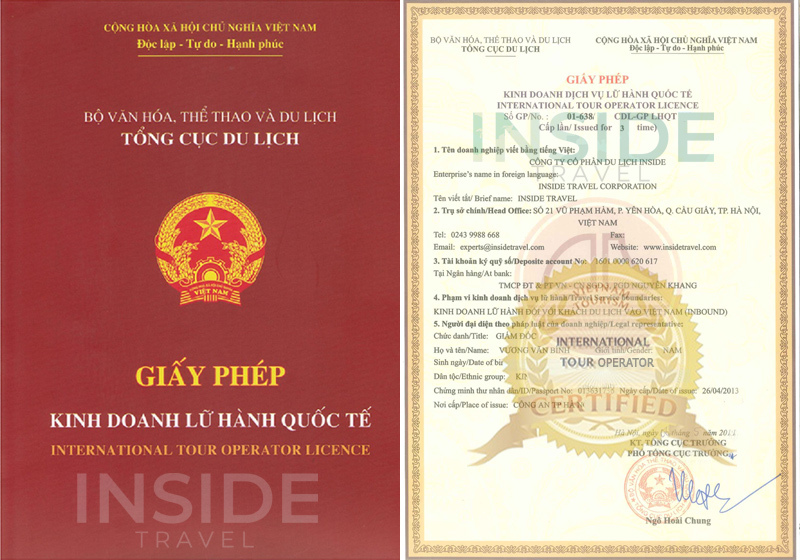 At 18h00: Your private driver will come to take you at your hotel in Hoi An to Hoi An Impression Theme Park. The park is a boat that brings tourists back in time to one of the busiest commercial ports in Asia in XVI-XVII century and carries memories of Hoi An 400 years ago back to contemporary people. After having a panoramic view of an ancient Hoi An through interesting activities and models displayed in the park, at 19:00, let's move to the area for the impressive Hoi An memories show. This show is an incredible spectacle. The sheer scale of it is comparable to an Olympic Games opening ceremony. Located in an over 25,000 square-metre area, the stage itself is more like a Hollywood set featuring both watery and mountainous scenery and using modern staging techniques, lighting technology and elegant audio effects. Boasting a cast of 500 actors and dancers, it uses stunning and spectacular imagery and as a viewer, you are invited along a 400-hundred-year journey of the town’s growth with all of its grace and prosperity. Hoi An Memories show begins at 19h30 and finishes at 20h45 everyday (except Tuesday). After the show, be transfered back by private car to your hotel. 08.00AM: Our guide and driver will go to your hotel to pick you up and we will head to Ba Na Hills. Take Cable Car which gains 5 world scores to Ba Na hills station. Stop at By Night station to visit Vong Nguyet hills, Linh Ung pagoda, The Old Villas of French. Continue moving up by cable car to the Nui Chua Mountain – the top of Ba Na range, visiting Nghinh Phong top, Le Nim Villas, Orchid Garden… Experience hill climbing train (first and unique funicular in Vietnam) and visit an old French cellar (Debay Ancient Wine Cellar), flower garden Le Jardin D’amour. At about 15h00: Transfer from Ba Na Hills to Hue city in about 02 hours and 15 minutes. About 02 hours before your filght, our driver will come to the hotel and take you to the airport for the flight from Hue to Hanoi. Welcome to Hanoi, the heart of Vietnam which is considered as a blend between the traditional and the modern beauties. At Noi Bai Airport, our guide and driver will welcome then take you to your hotel to do check-in. After relaxation, it is your free time to discover the Old Quarter and taste very delicious local cuisine. Overnight in Hanoi. 08.00 AM: After breakfast at your hotel, our tour guide and driver will pick you up at your hotel and head out for Ninh Binh (2 hours driving). There is a beautiful roadside scenery on the way. Arriving in Ninh Binh city, first pay a visit to Hoa Lu – the ancient Royal Capital of Vietnam, visit the two temples: Temple of King Dinh and King Le, admire the unique architecture from ancient times. Continue to Tam Coc and have lunch at a nice restaurant with many local delicacies. Then boarding a small sampan to visit Tam Coc which means literally “three caves” (2.5 hour boat trip). With Halong bay type views of majestic limestone cliffs and mysterious caves, as well as countryside landscape like peaceful streams, rice paddies and deserted green fields, Tam Coc really has it all. You will feel the fresh air and peaceful moments, a very good opportunities for photo lovers, freezing the special moments and scenery. We also cycle to Bich Dong pagoda nearby and climb up the mountain to have a wonderful perspective view of the Bich Dong and Tam Coc. After the tour, we will drive back to Hanoi and arrive at your hotel at about 5.00 - 6.00 PM. Free time at your leisure. Overnight in Hanoi.